Detroit, MI – Thom Connors, SMG regional vice president and general manager of Cobo Center, announced that Constance Wilson has been promoted to sales manager at Cobo Center. Wilson joined the Cobo Center staff in 2008 as event coordinator. Her promotion to the new Cobo Center sales team is part of an overall effort to strengthen sales and marketing. 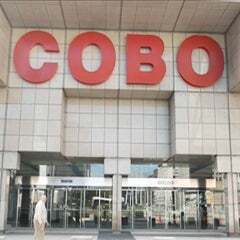 Earlier this month, Tom Albrecht, the new Cobo director of sales was hired to take the helm and innovate sales strategies during what officials are calling the “Cobo Transformation,” an ongoing facility upgrade and expansion, that is scheduled for completion in 2014. “The addition of Constance to our sales team brings additional vitality and creativity to our Cobo sales efforts,” said Albrecht. 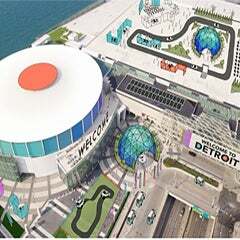 As sales manager for Cobo Center, Wilson will be responsible for the Detroit area and regional business development. She will conduct facility tours, prepare proposals and event contracts, and assist clients in finalizing booking arrangements. A 2007 Rose Award Nominee, she brings with her local event coordinating and sales experience from her positions with the Detroit Opera House, Detroit Public Schools and Nedd Worldwide Public Relations. She holds a Bachelor of Arts in Management and Organizational Development from Spring Arbor University in Michigan. 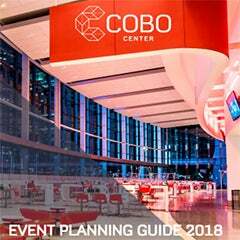 “We were looking for someone with experience and history with the region and Cobo Center, and Constance was the obvious choice. Coming from the Event Services team, Constance has longstanding relationships with our annual customers, and an excellent understanding of our customers’ needs.” said Connors.